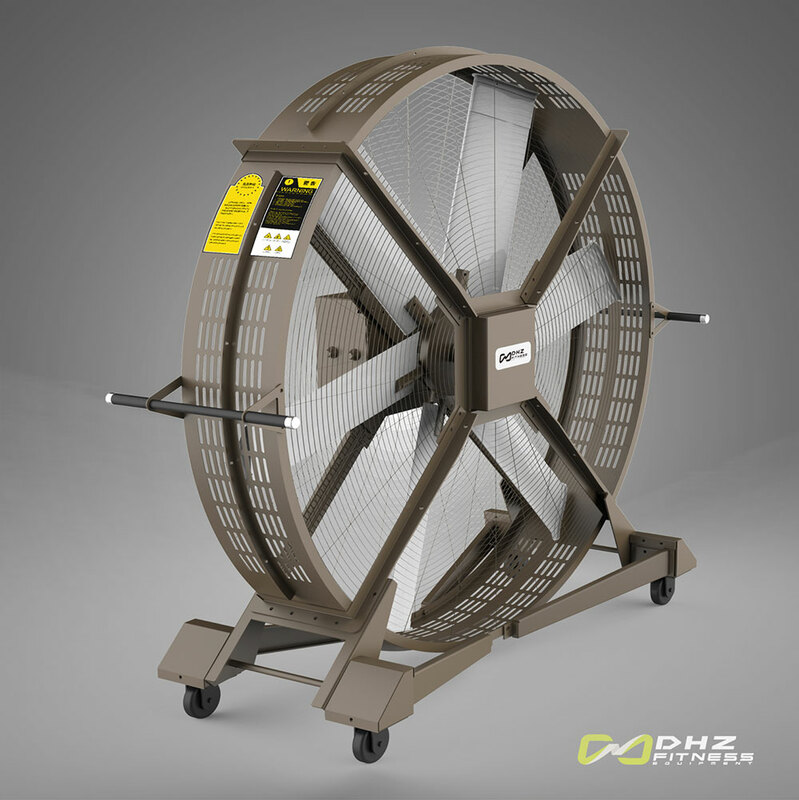 The solution for the classroom or the entire studio: The large rollable DHZ fitness floor fans offer practical way of pleasant cooling for up to 500 cubic meters. 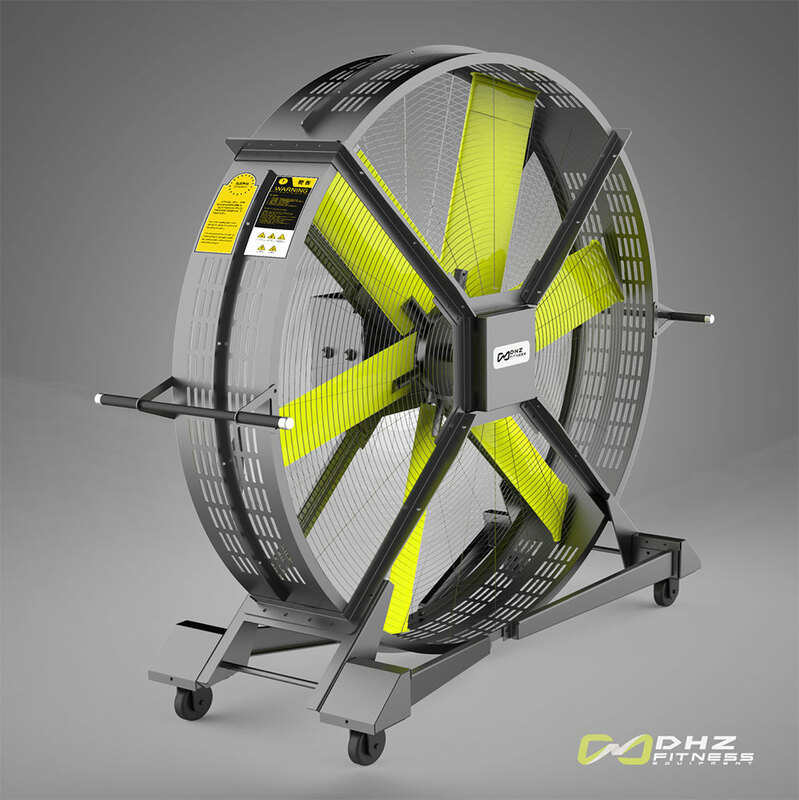 The sturdy steel frame is completely assembled with stainless steel screws. Thanks to four sturdy, smooth-running wheels and double-sided fine handles only one person moves the 200kg heavy and 2.1m high colossus. The quietly and efficiently operating 0.75KW engine allows revolutions of 5-200 per minute.